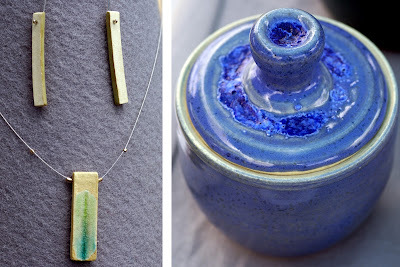 Simple, Symmetrical & Skillful Harmony in Ceramics. Artists Baking their Love of Creating into each Piece. 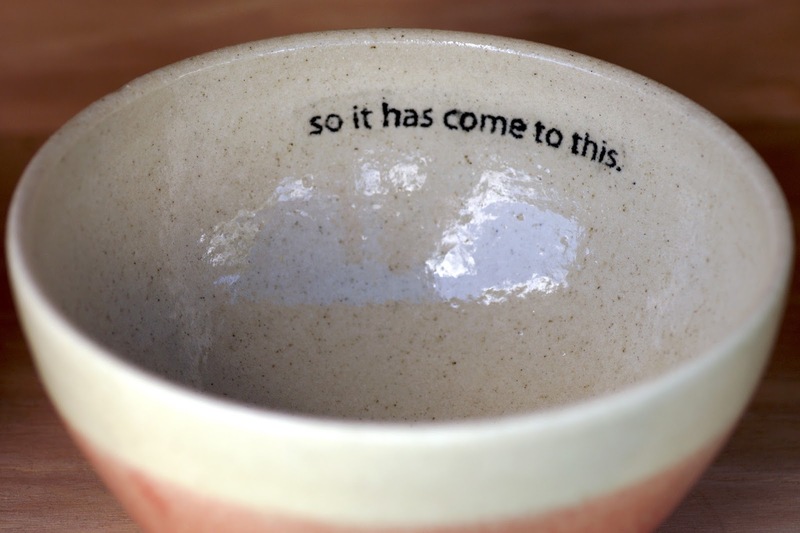 Well done wheel thrown ceramics come from two hands in perfect harmony. They must work together to shape the plate, bowl, jar or other homeware so that everything turns out as symmetrical as desired and as similar to other pieces that will be used together. 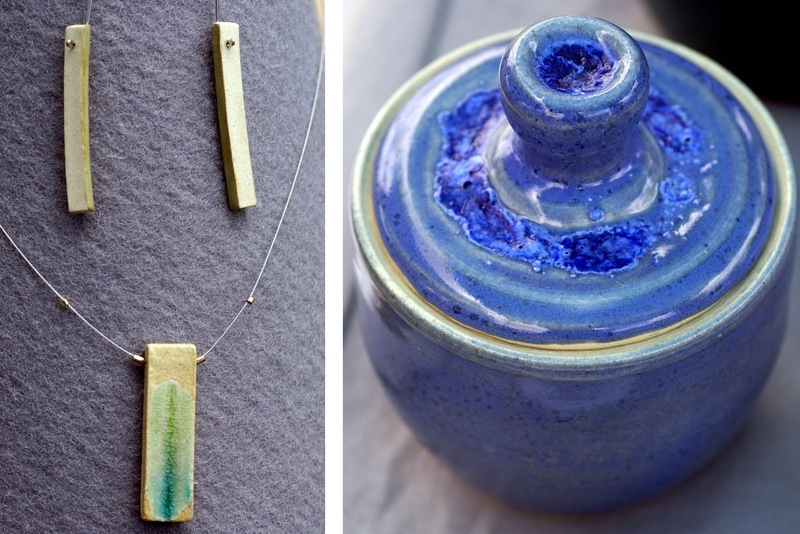 This is not an easy art, but the cute couple behind Jpear designs has achieved this same harmony working together on the beautifully simple and symmetrical ceramics that they share with the Austin art community. The techniques and types of pieces these two specialize in has evolved over the years, but there is always this characteristic style that separates their work from others. You can see it in the perfect forms and pure glazes. I personally love their line of bowls with color on the outside and crisp line drawings on a white background on the inside, often comically juxtaposed. 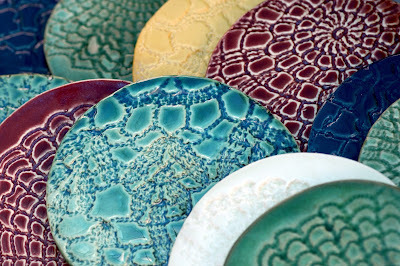 Recently they’ve been dabbling in a wider array of glaze colors and styles to create unique new effects on the same smooth, perfectly shaped pottery. 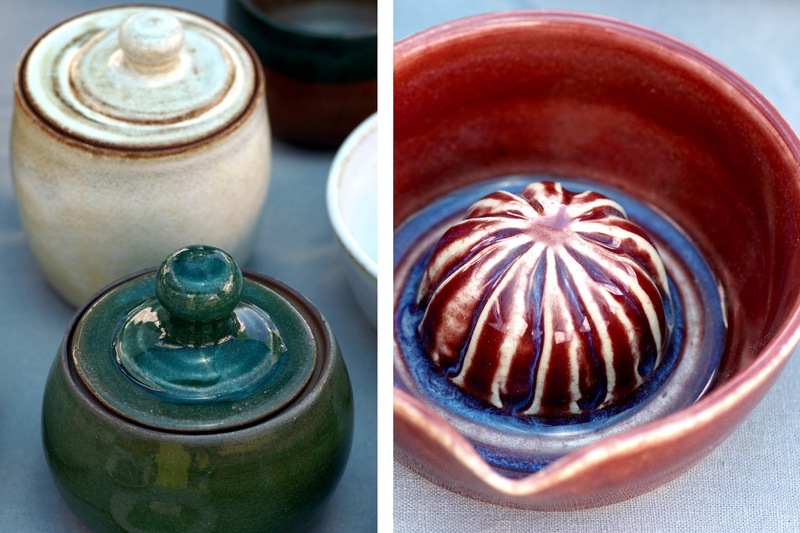 I’m amazed at their ability to make the same piece over and over again so you can have a beautiful, handmade set of bowls or spice jars. It’s also really neat to see the different types of kitchen wares they come up with, many out of the ordinary for most ceramics like butter bells, colanders and juicers. I have no doubt that these two will continue to experiment with new forms and functions in their art, and I can’t wait to see what they come up with!